Construction equipment is operated in what was a parking lot on Thursday, June 22, 2017, at the University of Texas Rio Grande Valley campus in Brownsville, Texas. 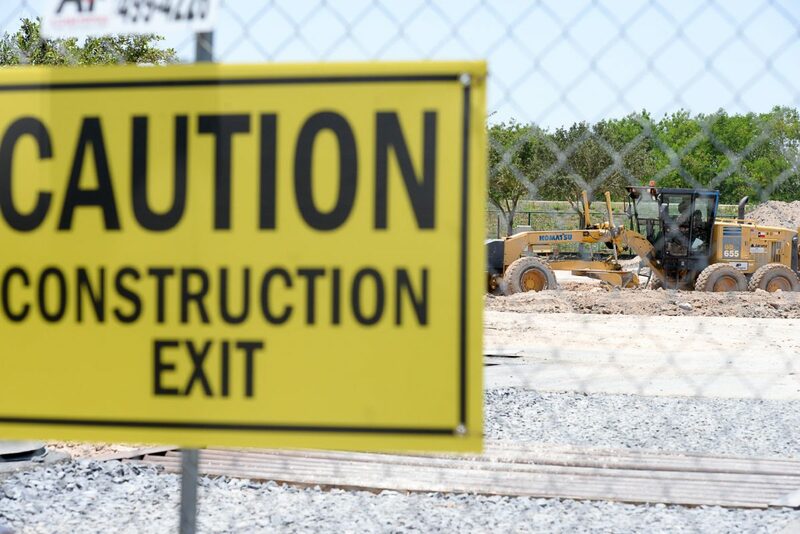 Work has started on the new multipurpose academic center which will expand classroom capacity and eventually eliminate the need to lease space at the adjacent Texas Southmost College. Across University Boulevard from the new Academic Building going up next to the Main Building on Brownsville’s University of Texas Rio Grande Valley campus, another major construction project has broken ground. 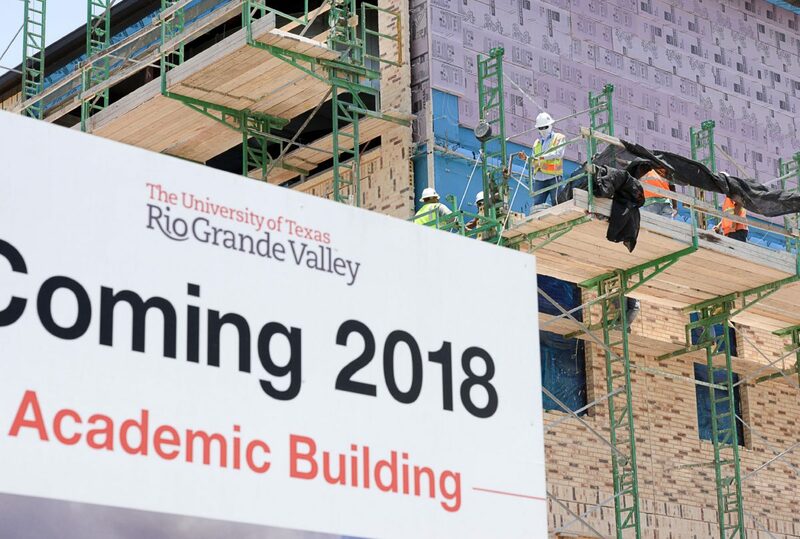 The Multipurpose Academic Center is set to rise from a patch of a former parking lot directly opposite the Main Building, according to UTRGV Facilities Planning and Construction Director Gerry Rodriguez. The 55,746-square-foot, two-story structure has a price tag of $36.4 million and is scheduled for completion in November 2018. MPAC will feature lecture space and classrooms, faculty and administrative offices, physics and math computer labs, and student study/meeting space, Rodriguez said. To compensate for the roughly 300 parking spaces being lost, UTRGV built a new parking lot of equal size at FJRM Avenue and East Tyler Street, he said. The Academic Building taking shape on the north side of University Boulevard broke ground in March 2016 and is scheduled for completion in May 2018. The building’s three stories and 102,500 square feet will house general academics, music instruction and recitals, math and language labs, science teaching labs, student study/meeting space and classrooms equipped for online teaching. 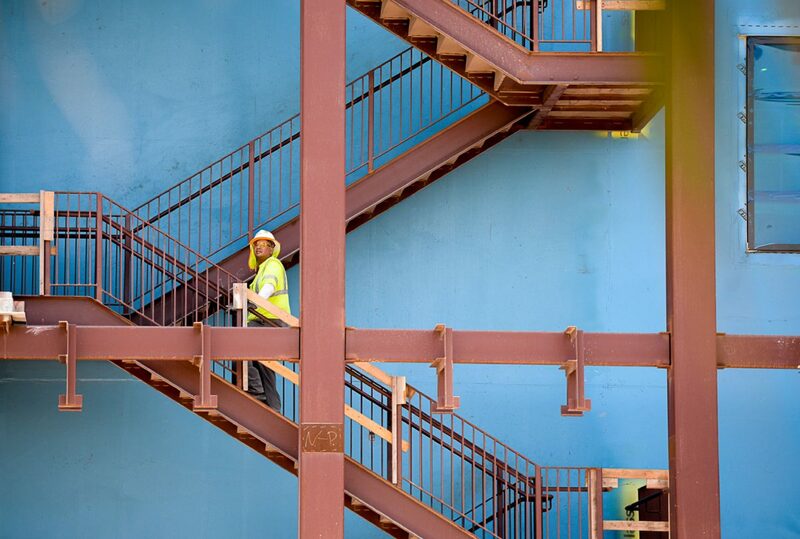 A construction worker ascends a staircase at the soon-to-be Academic Building on Thursday, June 22, 2017, at the University of Texas Rio Grande Valley campus in Brownsville, Texas. The university closed a parking lot across from the campus to make room for a new multipurpose center, aiming to reduce or eliminate the need to lease space for classrooms at the adjacent Texas Southmost College. Construction workers lay bricks on the exterior of the future academic building on Thursday, June 22, 2017, at the University of Texas Rio Grande Campus in Brownsville, Texas. The South Texas university is continuing its expansion with another structure in hopes of eliminating the need to lease space at the adjacent Texas Southmost College. The Academic Building is being paid for through $54 million from the state’s Permanent University Fund, generated in part by oil and gas royalties and mineral leases, while MPAC is being financed via $36.4 million in tuition revenue bond proceeds. Rodriguez said the university faced a big shortage of space after its separation from Texas Southmost College and continues to lease space from TSC as a result. The new construction signals progress toward the ultimate goal of meeting space requirements without leasing, he said. The Academic Building and MPAC are, so far, the only two construction projects officially approved and funded since the separation, he said.